ViraLife - A baby got abandoned by his parents because of the deformities in his face, now watch him 30 years later..
A baby got abandoned by his parents because of the deformities in his face, now watch him 30 years later..
We live in a world where success is measured by not standing out. Because if you don't fit into a particular social frame or you are small and different from others, you are immediately considered "weird" or "unusual". It's a sad worldview, and it puts too much emphasis on how we look or how we compare ourselves to others. Just ask Jono Lancaster, a man, flesh and blood like all of us, but, unfortunately, the world often reminds him of how cruel it can be. Jono was born in Britain in 1985, but he didn't look like the other babies. He suffered from Treacher Collins syndrome - a genetic disorder that causes facial deformity, hearing and eating disorders. It was too much for Jono's parents who abandoned him because of his appearance. "When I was born, my parents were shocked, I left the hospital 36 hours after I was born, the welfare authorities found someone to take care of me, I had a foster caretaker named Jean", Jono recalls. Jono's first years were full of bullying and the world's reluctance to understand his condition. 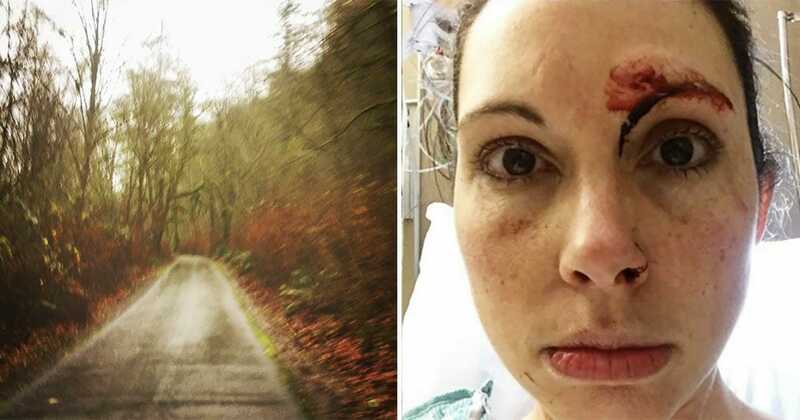 "I felt like I was alone and that there was no one else in the world like me .. People are lucky enough to win the lottery or they become professional footballers, doctors, lawyers but (I thought): ‘Why did I have to end up looking like this?’”, Jono said in an interview. 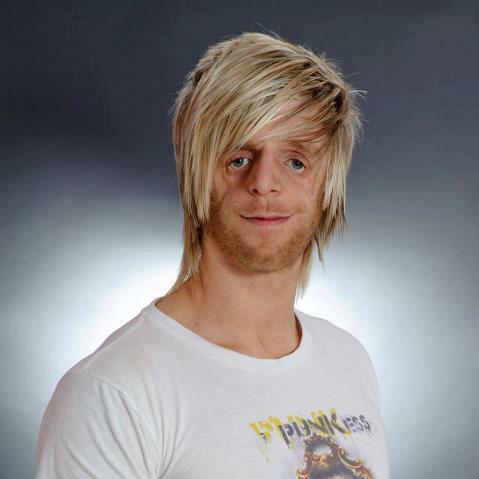 Treacher Collins syndrome doesn't affect the child's intelligence in any way, but the only thing that interested Jono's thugs was his appearance. Jono refused to give up and surrender to the bullies ever, and beside him stood a wonderful woman. Jean, who was Jono's foster family, tried to unite him with his biological parents. But after they returned her letters for 5 consecutive years, she took it to the next level - and on May 18th 1990 she adopted Jono. "Now I had two birthdays, I would tell the other children that my mother went to the hospital, looked at all the babies and chose me, compared to their parents who were stuck with them", Jono said. With Jean's love and care, and with his strong spirit, Jono decided to do good in the world and use his experience to help others. 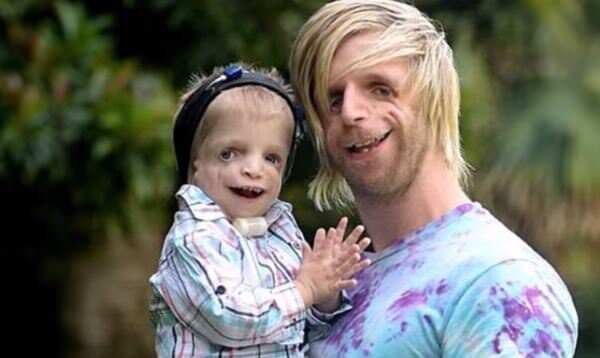 Now, at the age of 30, Jono devotes his life to helping others in the world with Treacher Collins Syndrome. He meets children, gives them hope and support, and talks to their parents about their situation. One of the children Jono met and helped is two-year-old Zachary Walton from Australia. Despite his age, Zachary was already a victim of bullying. But he found a true friend in Jono. "When he said he was coming to Australia, we knew we had to meet him and it made us very happy to see Zack meet someone like him", said Sarah Walton, the boy's mother. When Jono met Zachary for the first time in November 2014, the picture was posted on Facebook - and it's just delightful to see. Listen to Jono telling his story in the video below. We promise, you will be moved. Although Jono's story breaks the heart, it also elevates the spirit to see his strength and courage and how he uses them to help other children in the same situation. We certainly hope we can be inspire awareness of Jono's story. Not only to inspire others, but also to give hope and self-confidence to others who need it. Because we all need inspiration from time to time. 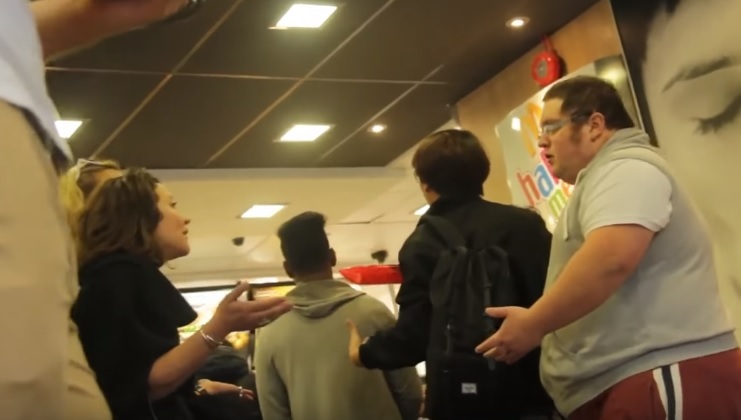 Two girls bullied and shouted a fat guy at McDonald's. They received the karma treatment that so deserved them!